I have my photo tagging privacy setting set to ” only me” because I don’t like to have all of my Facebook friends seeing what some friends inevitably tag me in. However, there are times I feel I as if I am being rude if I don’t click ” like” to those pictures in which get posted from time to time. My question is, if do click like, won’t that photo then show up in all of the news feeds of all my friends on Facebook anyway? So annoying - just can’t find any information anywhere on how to stop friends from getting a notification whenever I join or request to join a group - any ideas? thanks…. Can you hide a specific friend from just one other person. I am divoreced and still friends with my ex on facebook for the sake of our kids. Recently I started dating someone new but I do not want my ex to see the the new persons profile. Is there a way of hiding/blocking just my ex from seeing just her profile in my friends list or her likes on my posts/shares? Hello, I don’t want people to know when I’m on facebook. How do I hide myself from the “online now” list? I have a friend who waits to see that I’m on facebook and immediately starts messaging and texting me. I just want some privacy. Hi. My question is this: if I allow an album to be visible to my friends + friends tagged, but also use the custom option of “Don’t share with these people or lists” ... and I input names of friends that I have that my tagged friend in the album also has (mutual friends,) will those in the “don’t share with” list still see the album since the “friends of anyone tagged” is checked? why can everyone see my stuff? Why can't I block someone? 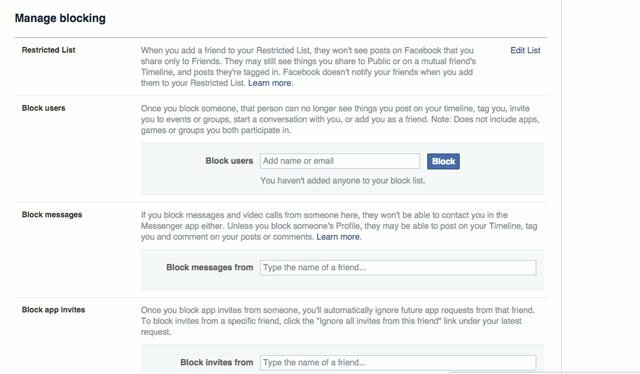 Help!I have tried every option to block someone and facebook says that i can’t. Why is that? How do I get around that? Hi, my daughter and I and tested something out to prove what we feared. We unfriended each other and then searched each other. When finding a link to our names and clicking we can both see everything on both our pages. We have tried to set our pages to Private so only our profile shows and that’s it. What are we doing wrong? We don’t want non friends or browsing random people to be able to see our pictures and posts. If I post a comment on a public Facebook site does that allow anyone who sees it to access my Facebook? Or can they only see that one public post? I have privacy set to friends only but wondered if such a post would give others access to my posts on my Facebook. Josh, Do you understand what I am asking here? I recently attended a play and wanted to go on their public website and post a picture and comment about how great the play was. But will that allow anyone who can see my post to see my Facebook page. I have it set to friends only. Thank you. 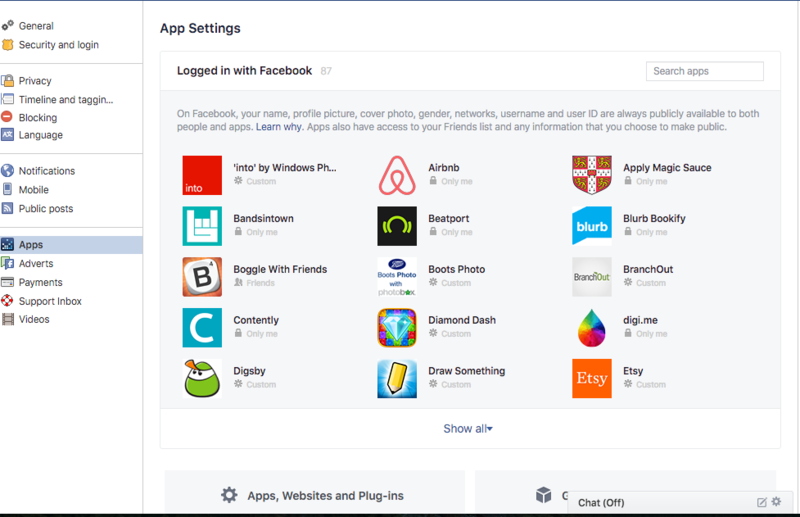 Hi I have a tech support business page, would it be ok for me to post a link on my page to this page as a lot of people ask me about facebook security and this is about the the best guide iv’e seen? You’re always welcome to add a link to our articles on your pages if you find them helpful. I purchased two things today from outside sites, under a different name and email address than my FB account, and I received notifications from the companies in my Messages. Not Messenger, I don’t use that. 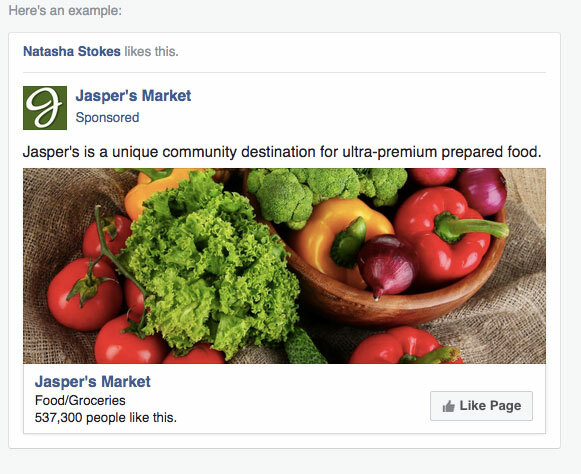 Apparently, there is a new plug in Facebook has provided to retail sites that automatically links the two. How do I turn off THIS privacy invasion? I’ve previously set all my posts to public because I have nothing to hide, and I run a home business where it helps for potential customers to get to “know” me before we go further in a transaction. But, I have a few people who need to be on a restricted list. 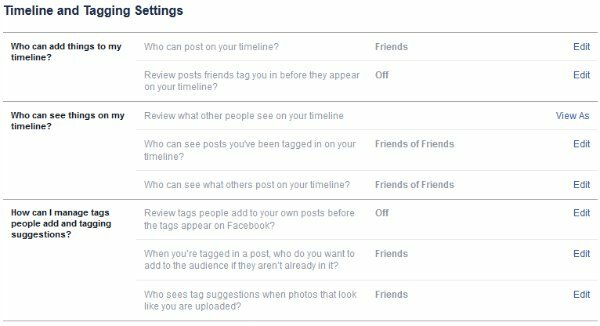 If I switch my posts’ privacy settings to the custom “friends” and “friends of friends”, are the people on my restricted list unable to see those posts. Which is my intention. If I set posts to custom, then clients and potential clients can still see enough about me to get to know me. But, I really want that restricted list to only see my public posts now. All info about restricted lists, only mention that they can’t see my posts marked friends. But, they don’t mention if they can see my posts marked friends of friends. Any help is appreciated! Yes, you can restrict people from friends of friends in the custom settings, but I would strongly encourage you to rethink that approach. Especially once you start spreading out to friends of friends, it makes it increasingly likely that someone on your restricted list will see or find out about your post. Facebook is a social platform and things you post can get spread around, so act accordingly. So, just to clarify. I can put these two people on my restricted list, and if I change all pertinent posts to friends of friends, they still cannot see it themselves. Luckily, my posts are all G rated and positive. But, these two are trolling to knock negative vibes into my positive posts. But ... they’re family. 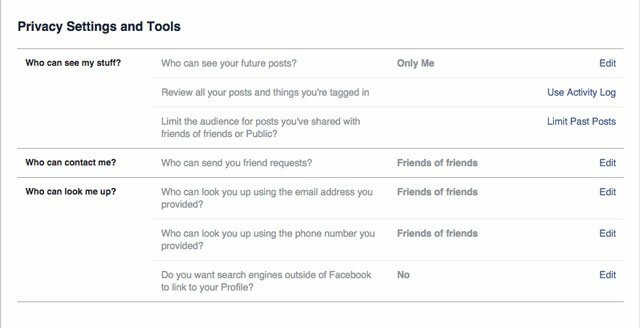 According to Facebook, they would not see your posts unless they are tagged in it or you post as Public if they are on your restricted list. Since I was only seeing the restricted list pertain to “friends” and not “friends of friends”, I just wanted to make sure. 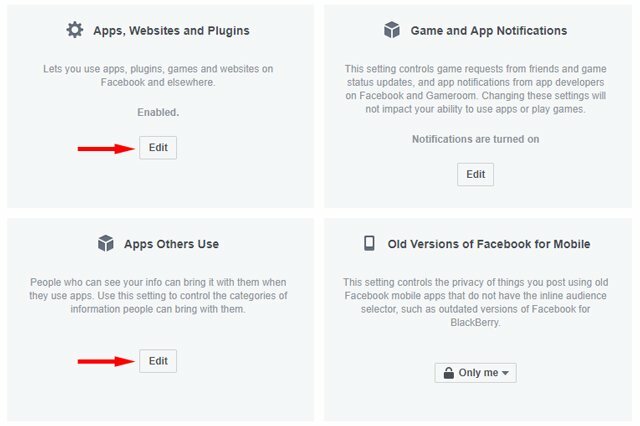 Different settings for different pages I manage? I want to make business pages public, but keep my personal profile private (friends only). how do I do that? 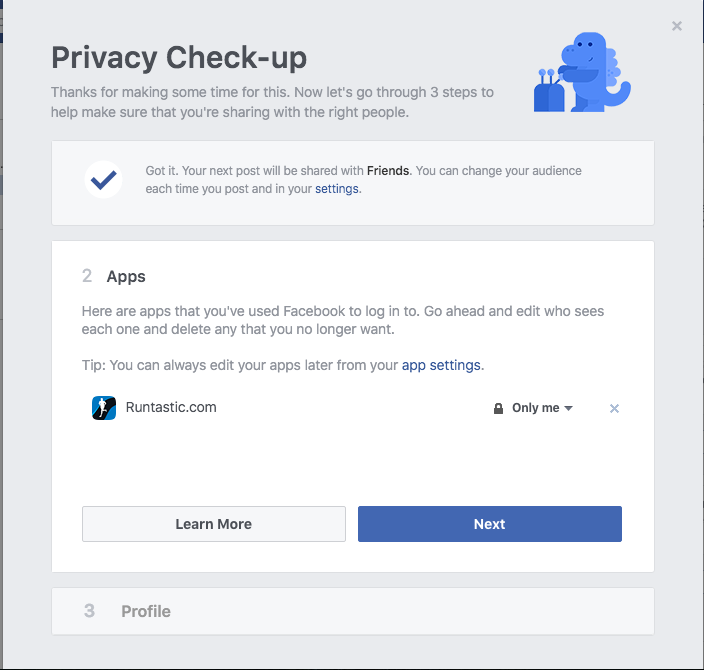 Your business page privacy settings have nothing to do with your personal settings. Business pages are public by default. 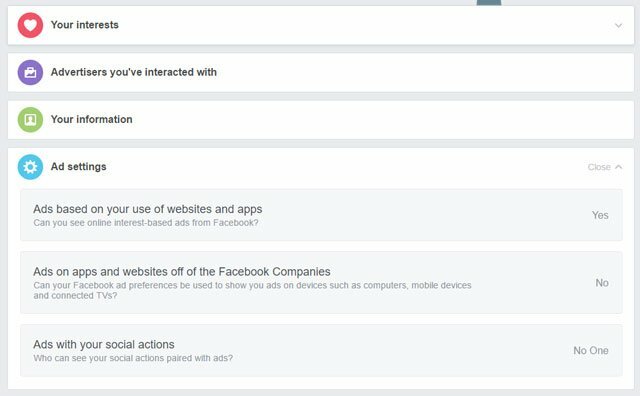 Changes you make to your business page will only affect that page ad not impact the privacy settings for your personal page. I’ve had a person blocked for over 6 months. Today on my fiance’s page it showed I was friend’s with the blocked person (we have 4 mutual friends) and suggested that person as a friend to my fiancé. If the person has been blocked for 6 months, why is my fiancé receiving a post on his page showing I’m friend’s with the blocked person and suggests they be friend’s? How can I prevent this from happening again with other people I have blocked? How do I unfriend someone on my Facebook account? Just go to that person’s profile page and you should see a dropdown box near the top that says “Friends”. Click that and you can “Unfriend”. Or go to your profile pages and find that person under your Friends section. You can also Unfriend from there. Hi, I recently set up a business page and I would like the privacy settings to be different than the settings I have for my personal page. With my personal page, I set it so I don’t show up in search engines. Obviously, I want my business page to show up. Is there a way to do this? Thanks! 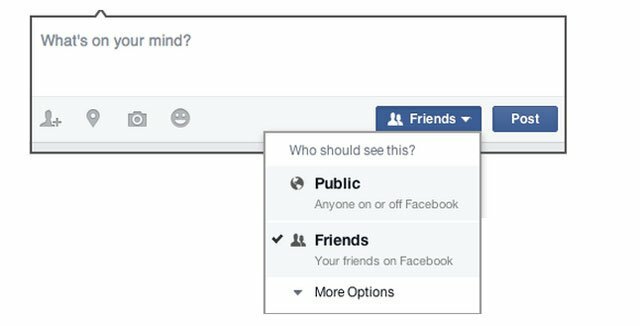 Facebook business page privacy settings are completely different than your personal settings. All business pages will be visible by default unless set to “unpublished”. I have made posts in a ‘secret’ group and assumed that only people within that group would be able to view them. It seems, however, that the same post appears on my timeline and therefore all my friends(who don’t belong to the original group) can see the posts too. Is there a way o rectifying this so that my posts in the secret group are NOT visible to my other friends? Want to check one person’s daily updates and all, but we are not friends, so i can’t see his all post, because of his privacy settings. But because of some reason, i want to see his daily updates. So what can i do for this ? - do not show our Mutual Friend as a Mutual Friend on their Timeline when I look at it. I have noticed this with both Friends that allow me to see their Friendlist and Friends that do not. I realise that between the Comment or Like being made, and my viewing of the Post that the Friend-of-a-Friend may have Unfriended my Friend, or been Unfriended by my Friend. However, I have witnessed it many times, and sometimes the Post may only be a few minutes (or seconds) old. Even though I have chosen ‘Public’ in the Privacy Settings, almost all of my posts are still hidden. I noticed that the setting said it will apply to all of my future posts but I would like my whole timeline to be visible. I don’t post very much and I want what I post to be seen publicly. How can I change that? When I try to post a url in a page I manage as that page the browser times out. This happens in ie, chrome, and Firefox. When I try to post as myself it works fine. I created a new facebook profile and added that profile as an admin and it works fine. This leads me to believe that some setting in my profile is preventing this. I know all the other admins of this page do not have the same problem. This was working a week ago. Recently a friend of mine posted something and I ‘Like’ the page. After a few hours when I log in again, my Like button doesn’t show up. Am I restricted or not? Is there anyway a friend can undo the like button? I am positive that I hit the Like button. I’m trying to figure out how to prevent every event I RSVP for from automatically appearing in the news feeds of all of my friends. I know I can click on my activity log and change the privacy setting for that particular event after the fact, but I need to remember to do this each time. Is there a way to change the default setting? From what I gather searching around on Google, there used to be a way to do this, but there doesn’t appear to be any more. Is that accurate? Also, are my friends notified in their news feeds every time I join a page or group? If so, is there a way to stop this? I know that if the events/groups/pages are public, my name will appear in the list of members or attendees, which is fine. But that doesn’t mean that I necessarily want to publicize my participation. So when I post, tag someone, or respond to a comment people I have blocked can still see this on mutual friends FB page…how do I stop this? I just set up a new business page under my personal profile and Status, Photo/Video, and OfferEvent+ options are missing on the bar above the “Write something…” area. In addition, I am also seeing 6 boxes with options to “Advertise Your Business,” “Get Phone Calls,” “Get Messages,” “Create an Event,” “Create an Offer,” and “Write a Note” below the “Write Something” area. On my other business page, the Status, Photo/Video, and OfferEvent+ are visible and they are also visible on my personal page. These two do not have the 6 boxes below (“Advertise Your Business..” etc.). Please help! Thank you! I’m having this issue, where every time I change my profile pic, and I know profile pics are Public, but this person I know but am not friends with on FB, sees it and gets a alert about it. I think she’s using google alerts, but am not sure How can i prevent this? She’s basically stalking me! Ive tried every section. I DID find how to add things like life events, education, etc. I want the section like you have above, but not steps listed how to get there. To check my email, who can see it, etc. The ‘Your Profile’ and who can see it, etc. I tried Googling and FB for the answer too, Im sure its easy, I just cant find it. Just wondering how I can find or set up “the new friends I made in a given year” for myself without having to look through my activity log for an hour (which I already did). The activity log is the place to do it. However, to make it much easier, you can filter the activity log to show only “friends”. Once in the activity log area, just click Friends in the left column to filter. Thanks! I used the filter on the activity log and it’s much easier than before. Someone on facebook is writing a book and is using my information from facebook in their book. Can they be allowed to do this without my concent or knowledge? What rights do I have and how can I stop them from doing this? Depending on where you live, your rights may be protected by privacy laws. Also, depending on what content they’re using, you may have copyright protection of your posts, photos or other creations. This, however, is a question best addressed to an attorney who can help you assess your rights in this particular situation. Hi. If i set a post to close friends only, but tag a friend in the post, im assuming their friends can then see the post? How do i stop this please? According to Facebook: When you tag someone, that content (ex: photo, post) may be shared with the person tagged and their friends. This means that if you haven’t already included their friends in the audience, their friends may now be able to see it. For example, if you tag Jane in a photo shared with your friends, the audience expands to Friends (+) to include your friends and Jane’s. If you don’t want your photo, post or other content to be visible to the friends of the person tagged, you can turn this setting off for each post when you post it. To do this, click the audience selector next to the story, select Custom, and uncheck the Friends of those tagged box. Friend Request: Friend of Friends - NOT ! Hi, I have no friends on facebook. I set my friend requests to come only from friends of friends (that means nobody). Why do I continure to receive friend requests from various unknown people? Are you sure about you're seeing friend requests? I looked up your profile on Facebook (I assume the url is the “not.howard” one) and I cannot send you a friend request. So it seethe privacy setting seems to be working as intended. Are you sure you’re getting friend requests and not Facebook messages or something else? 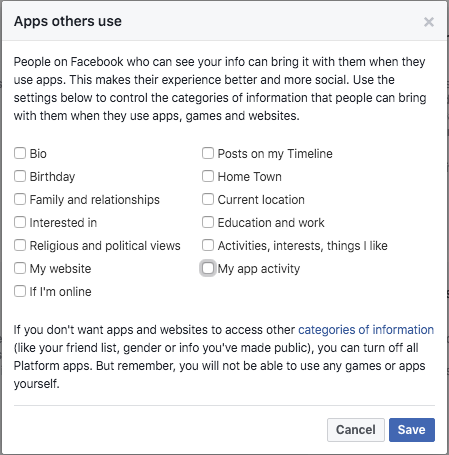 Are you sure they are “requests” (something someone actually sent you) and not “suggestions” (people Facebook thinks you may know, for one reason or another). Wondering if there’s a quick and easy way (without deleting individual posts) that you can hide your entire wall, even from your friends, so that you only have the message & photo functionality of facebook? You can hide “Sections” from your wall, so that these things won’t appear in your timeline. However, individual stories posted to these section may still be visible to friends. The only way to make individual posts not visible is to change each post’s privacy settings.